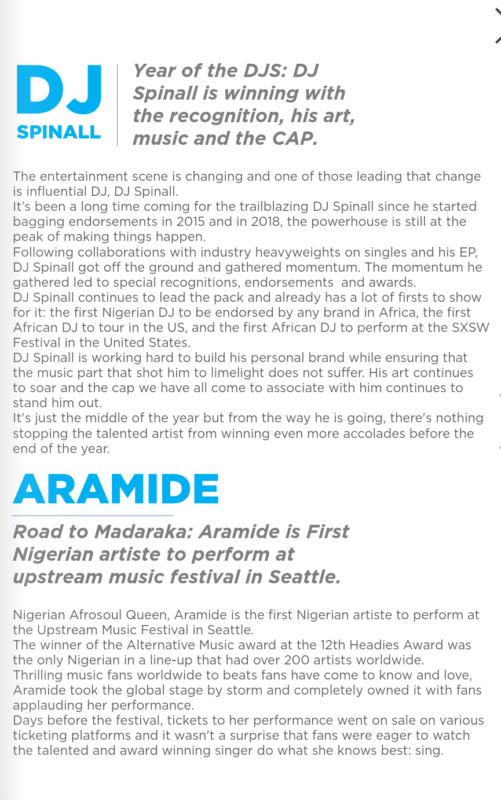 It has been a big year for DJ’s in Nigeria and celebrity Nigerian disc jockey DJ Spinall is not left out of the fun. 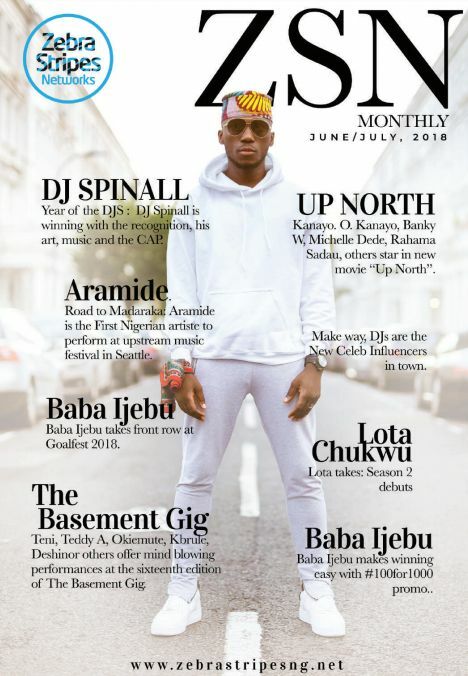 The DJ popularly known as The CAP covers Zebra Stripes Networks (ZSN) latest monthly issue. DJ Spinall is working hard to build his personal brand while ensuring that the music part that shot him to limelight does not suffer. His art continues to soar and the cap we have all come to associate with him continues to stand him out. The magazine also throws the spotlight on singer Aramide. Afro Soul queen, Aramide’s record-making performance at the Upstream Music Festival in Seattle.